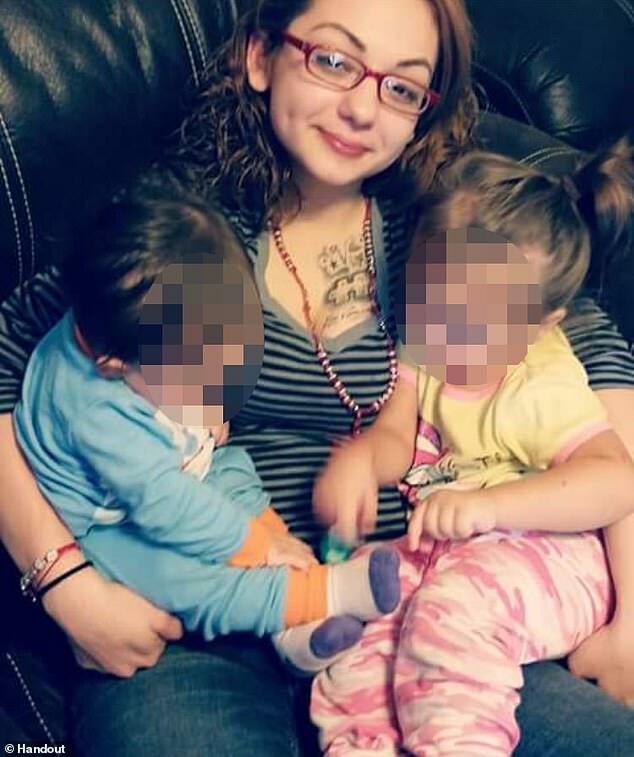 Disturbing body camera video shows the horrific moments a mother of two, 21-year-old Genevive Dawes was shot and killed at the hands of a Dallas police officer. Dawes and her boyfriend, Virgilio Rosales, were sleeping inside a stolen car in January of 2017 when police blocked their exit with police cruisers and surrounded the car. 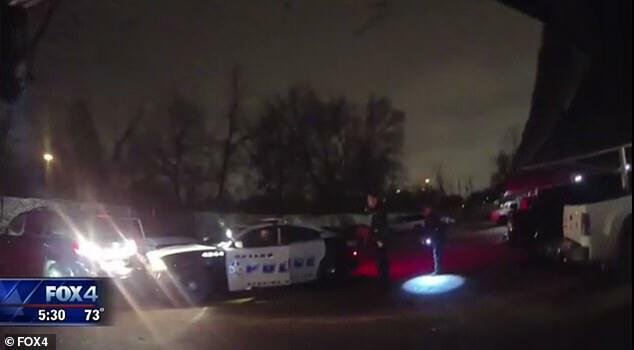 In the video, obtained by Fox4News, police shout at the car ‘Hands up, let me see your hands!’ When Dawes and Rosales do not follow commands, Dawes begins to drive backwards. Hess claims she hit a squad car although it is not clear in the video if she actually did. She then drives forward again and hits the fence, before slowly driving backwards again, when Dallas Officer Christopher Hess opens fire. Officer Jason Kimpel’s body camera shows he fired once. Dawes died at the scene. Her boyfriend manages to get out alive. 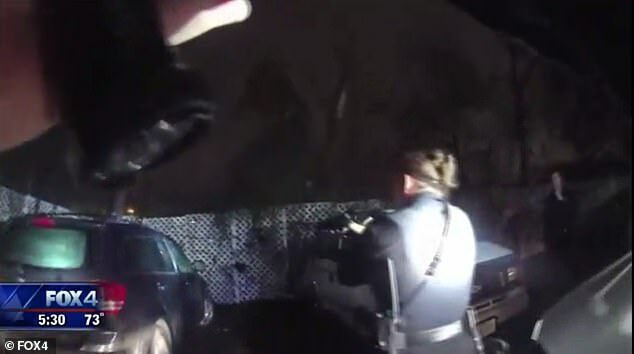 In the video, you can see him struggle to follow officers’ commands to open the car door from the outside of the window, which is covered in broken glass after being blown out in the gunfire. Rosales, was injure and was later arrested and charged with unlawful possession of a firearm by a felon. Hess was arrested and ultimately indicted on aggravated assault by a peace officer. 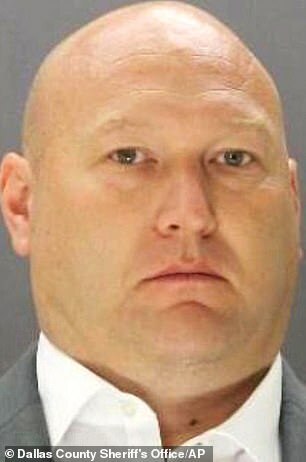 He was fired from the Dallas Police force. Kimpel was suspended, but is still on the force. ‘To see the loss of life that I didn’t think had to happen was something that did upset me, ‘ said Former DPD Assistant Chief Randy Blankenbaker. Former Special Investigative Unit, Chief Blankenbaker, was overseeing the investigation into the shooting. Blankenbaker says the video shows officers used excessive force. ‘You are responsible for every round that leaves your weapon. You are told that every time you go to the pistol range,’ says Blankenbaker. 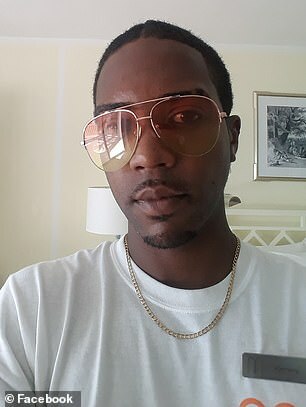 Additionally, he says, the fact that the officers’ could not see into the car, that they had no idea who the occupants were was a problem as well. ‘You don’t know what is in that vehicle there could have been children in the back seat that could have been shot and killed,’ he said. ‘I certainly made the argument at the time that Kimpel should have been terminated and should have been held accountable to that level at least,’ said Blankenbaker. The family is suing the city for wrongful death. The federal wrongful-death lawsuit filed against the city says Dawes bought the car a month before the shooting, unaware that it had been stolen. The suit alleges that the shooting was an unconstitutional use of excessive force. 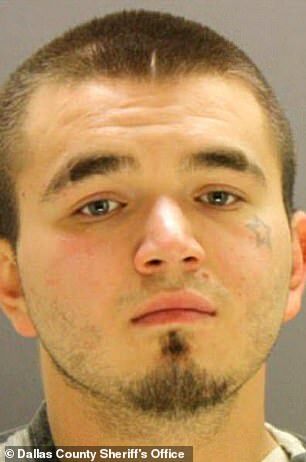 Ultimately, the Dallas Police Department did find a weapon in the car, but they didn’t know it was there before opening fire on the couple. ‘She was a good person. She was not a violent person at all,’ said Mary Dawes. 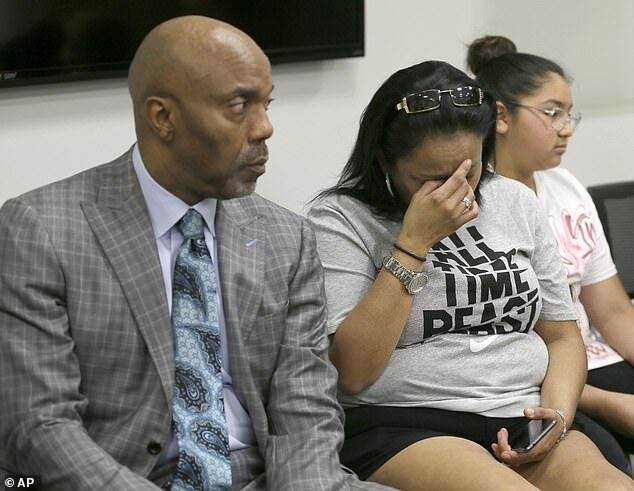 Dawes’ family members, who gathered to make a statement about Hess’ indictment said the mother was a goofy and loving woman who would make everyone laugh, once adopted a stray duck and was devoted to her two daughters, Krystinah Rosales, 2, and Cerenity Rosales, 1. Marvel's Stan Lee, 95, opens up about previous caretakers in interview controlled by daughter J.C.